One should not give herself or himself a typical New Year’s resolution – to lose some weight – if the person works on the tastiest project in the history of Non-fiction. 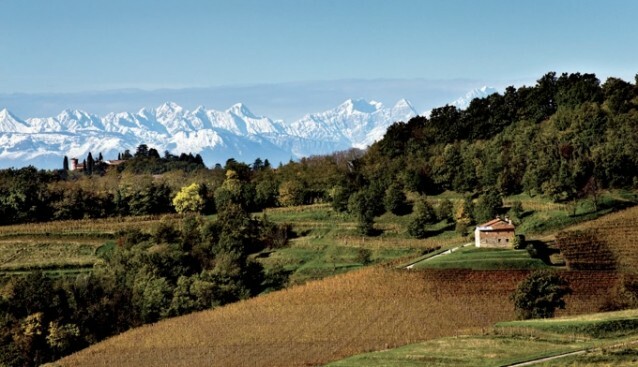 Let us introduce you to our brand new mouth-watering project Friuli Venezia Giulia: Path of Flavours. Friuli Venezia Giulia is a region in the north of Italy. It is exceptional for its specialised farming and food production as well as its gastronomy tourism. No wonder that a group of entrepreneurial people established a consortium called Friuli-Venezia Giulia Via dei Sapori (Path of Flavours), which ties together star artisans, wine producers and restaurant owners from the region. The ultimate goal of the consortium is “reflection, understanding and proposals on a theme of respecting local traditions and reviving them, as well as how to consolidate, strengthen and stimulate the production of high-quality raw materials throughout the region. Refusing to trivialise tradition and being open to innovation – being able to animate the tradition itself.” This stretches beyond the walls of the establishments, over the borders of the region onto a global platform that is the Web. And that is where Non-fiction comes into the picture. We are delighted that the consortium, on the kind invitation of renowned oenogastronomist Walter Filiputti and the enthusiastic son of Friuli Euro Beinat, have invited us to help create and implement a strategy that will put Friuli Venezia Giulia: Path of Flavours on an international map of food aficionadosa, and that will contribute to a better and more effective presence of the consortium, on- and offline. We will help devise a straightforward social media strategy, using only Foursquare, Facebook and Twitter, and provide members of the consortium with a manual for its implementation and evangelisation. One of the crucial steps is to present a clear image showing the richness of the region. We will do this firstly via Foursquare, using its map, list and recommendation services. This will allow people to experience the ‘path of flavours’ fully and truly (even though aiming to visit all the restaurants, artisans and wine producers in the region would take several months, at the cost of gaining some extra kilos and an addiction to (the world’s most divine) alcohol. For those of you who want to avoid some of the aforementioned symptoms Foursquare lists of different themes can provide you with a specific personalised route introducing you to the best of the best (the region is also famous for its natural and cultural sites which can be easily connected to food and wine tasting). Another source of inspiration can be tips from fellow food lovers or from the members of consortium themselves, catering customers with their special offers. This has a potential to generate a unique online district, where Foursquare maps and lists act as a guide and a seal of quality for those who have trouble in deciding what to visit, or who get lost in all the flavours. Additionally, a blog, Facebook fan page and Twitter stream of the consortium will publish recipes, specials and upcoming event information. If you are already packing your suitcases and checking flights to Italy, consider postponing your travel for a few months when we will be ready with the implementation of these media into the fairytale called Friuli Venezia Giulia Via dei Sapori. We will definitely keep you posted about our progress. Buon appetito!